December 26, 1929 - April 9, 2019 Dudas, Virginia K.P. “Ginny”, 89 of Galloway Twp., NJ passed away peacefully surroundedby family and friends on April 9, 2019. 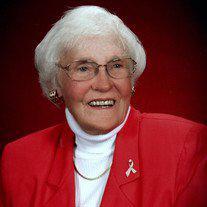 Ginny was born on December 26, 1929 in Morrisville, PA to Roy and Emelie Pelham. She is now in the loving arms of her beloved husband, Stan and their wonderful dog, Tee Ball.Ginny was raised in Morrisville, PA and Haddonfield, NJ. She graduated from HaddonfieldHigh School. She was employed at Ramblewood Country Club and Mays Landing CountryClub. Ginny was an avid golfer belonging to Mays Landing Country Club Ladies League, Greate Bay Ladies League and started a Ladies League at Blue Heron Pines Country Club. She belonged to Ocean Heights Presbyterian Church in Egg Harbor Township. Ginny is survived by her loving brother, Bruce Pelham and wife, Linda; nieces, Terri-Lee,Traci, Kimberly, and Melinda; nephew, Scott; great-nieces, Amanda, Autumn, Madelineand Cecilia; great-nephews, Andrew, Chad, William, Collin and Cooper; and new to thisworld, Dakota Grace, a great great-niece. In lieu of flowers, please make donation to Ocean Heights Presbyterian Church or the Atlantic County Humane Society.